Leading Exporter of eo friendly papers for journal makers, cotton rag handmade papers for journal makers, cotton rag handmade paper in various colors for journals and cotton rag handmade paper for journal makers from Mumbai. Journal papers available in a variety of sizes, colors. Deckle edged cotton rag handmade paper for journals. Cotton rag handmade paper for journal refills and note book and journal manufacturer. Our papers are custom made as per your Gsm, sizes, textures, colors, and finishes. We are also manufacturing paper with deckle edges suitable for journals. Our journal papers are available in smooth, rough, matt, textured surfaces. Our sheet size is 22*30 inches, however larger size sheets are also available on production. Our papers for journal refills are acid free and 100% eco friendly. 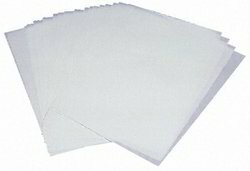 Our paper sheets are available from 70 GSM onwards. We can also manufacture note book refill papers with flower mottling, banana fiber, silk fiber, jute fiber, leaf impressions etc. Our journal handmade papers are made from pure cotton hosiery. Our journal papers can also be supplied with a watermark effect. We can also cut our journal papers as per your size specifications. Journal papers available in a variety of sizes, colors. Deckle edged cotton rag handmade paper for journals. Cotton rag handmade paper for journal refills and note book and journal manufacturers,. Our papers are custom made as per your gsm, size, textures, colors, and finishes. We are also manufacturing paper with deckle edges suitable for journals. Our journal papers are available in smooth, rough, matt, textured surfaces. Our sheet size is 22*30 inches, however larger size sheets are also available on production. Our papers for journal refills are acid free and 100% eco friendly. Our paper sheets are available from 70 gsm onwards. We can also manufacture note book refill papers with flower mottling, banana fiber, silk fiber, jute fiber, leaf impressions etc. Our journal handmade papers are made from pure cotton hosiery. Our journal papers can also be supplied with a watermark effect. We can also cut our journal papers as per your size specifications. We manufacture a large range of Papers in Various GSM’s suitable for use in Journal Making. 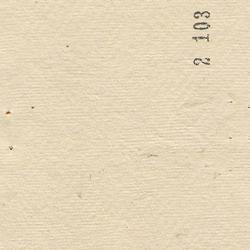 Our Cotton Rag Handmade Papers are ideally suitable for Journal makers. Journal Papers available in a variety of sizes, colors. Deckle Edged Cotton Rag Handmade Paper for Journals. Cotton Rag Handmade Paper for Journal Refills and Note Book and Journal Manufacturers,. Our Papers are custom made as per your GSM, Sizes , textures, Colors, and Finishes. We are also manufacturing paper with deckle edges suitable for journals. Our Journal Papers are available in Smooth, Rough, Matt, Textured Surfaces. Our Sheet size is 22*30 Inches, however larger size sheets are also available on Production. Our Papers for Journal Refills are Acid Free and 100% Eco Friendly. Our Paper sheets are available from 70 GSM Onwards.We can also manufacture Note Book Refill Papers with Flower Mottling, Banana Fiber, Silk Fiber, Jute Fiber, Leaf Impressions etc. Our Journal Handmade Papers are made from Pure Cotton Hosiery. Our Journal Papers can also be supplied with a Watermark Effect. We can also cut our Journal Papers as per your size specifications. Our Handmade Papers are suitable for Journal Making and can be customized as per your size specifications. We manufacture a large range of Papers in Various GSM’s suitable for use in Journal Making. Our Cotton Rag Handmade Papers are ideally suitable for Journal makers. Journal Papers available in a variety of sizes, colors. Deckle Edged Cotton Rag Handmade Paper for Journals. Cotton Rag Handmade Paper for Journal Refills and Note Book and Journal Manufacturers,. Our Papers are custom made as per your GSM, Sizes , textures, Colors, and Finishes. We are also manufacturing paper with deckle edges suitable for journals. Our Journal Papers are available in Smooth, Rough, Matt, Textured Surfaces. Our Sheet size is 22*30 Inches, however larger size sheets are also available on Production. Our Papers for Journal Refills are Acid Free and 100% Eco Friendly. Our Paper sheets are available from 70 GSM Onwards.We can also manufacture Note Book Refill Papers with Flower Mottling, Banana Fiber, Silk Fiber, Jute Fiber, Leaf Impressions etc. Our Journal Handmade Papers are made from Pure Cotton Hosiery. 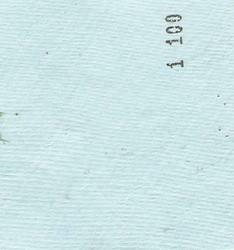 Our Journal Papers can also be supplied with a Watermark Effect. We can also cut our Journal Papers as per your size specifications. Looking for Cotton Rag Handmade Paper for Journals ?